It takes a brave and special person to stand up before their peers and deliver a speech with confidence. 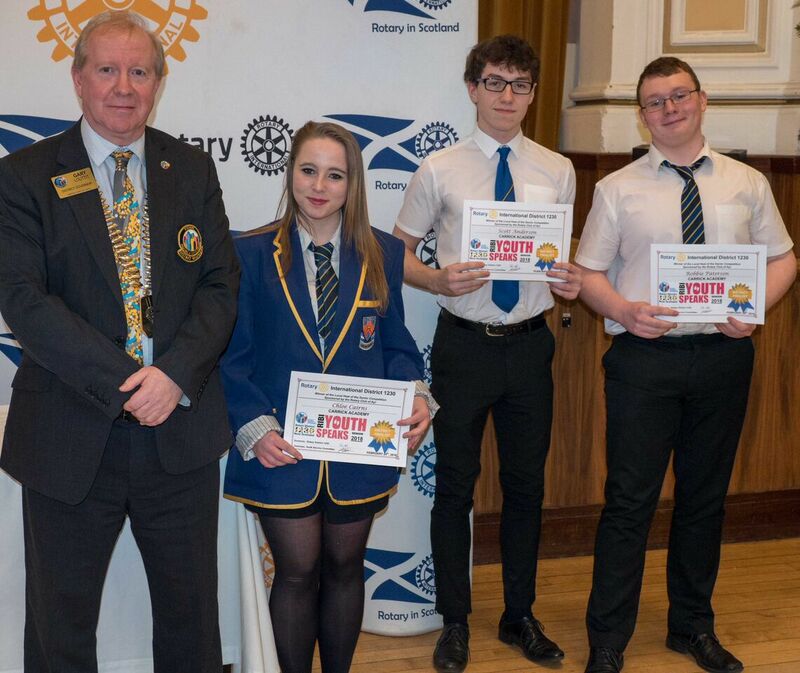 Just such a person is Robbie Paterson from Carrick Academy, who was ably supported by Chloe Cairns as the Chairperson and Scott Anderson as the Proposer ofthe Vote of Thanks at the 2018 District 1230 Final of the Rotary Youth Speaks Competition held at Pollokshaws on Sunday 25 February. The competition for the top spot was keen and, each of the teams showed a maturity well beyond their chronological age. 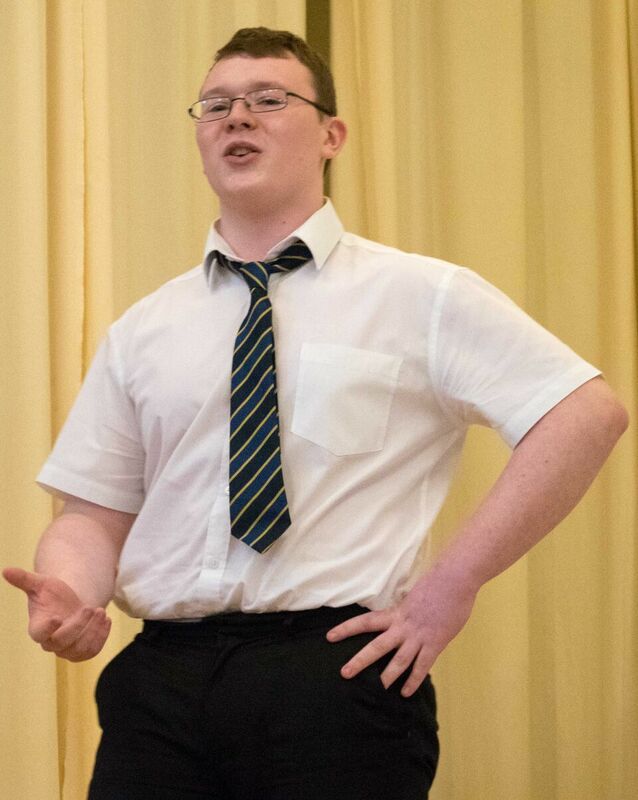 Robbie’s style was audacious and he delivered his speech from the heart using a very knowledgeable base. Sadly, the team was out-performed on his occasion, but they all returned home wiser in mind and with a broad smile. Well done indeed.